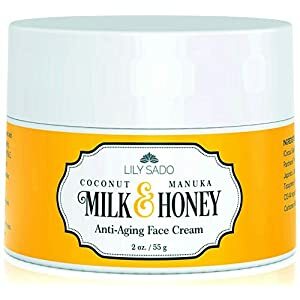 🍯 ORGANICALLY FORMULATED TO REDUCE FINE LINES & WRINKLES – Transform your skin with this luxuriously creamy and soft air-whipped coconut milk and maunka honey anti-aging face cream. Its carefully curated ingredients deliver 9–12 hours of long-lasting hydration and nutrients to soften and firm skin and reduce the signs of aging. Smooth texture absorbs quickly. 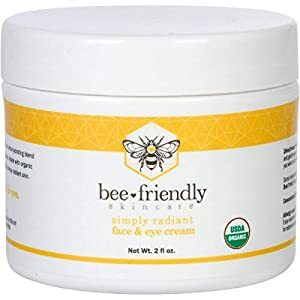 SAFE FOR ALL SKIN TYPES. Amazing as a HAND CREAM. 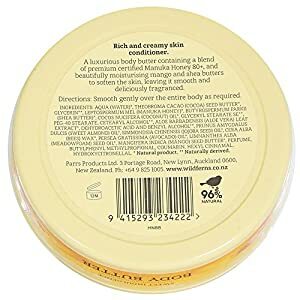 Can be used on entire body. A little goes a LONG way!! 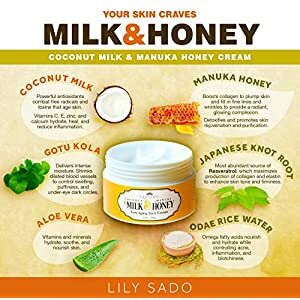 🍯 COCONUT MILK, MANUKA HONEY, ALOE VERA, JAPANESE KNOT ROOT & GOTU KOLA provide a powerful array of antioxidants, vitamins, and peptides that tone your skin at a deep cellular level. 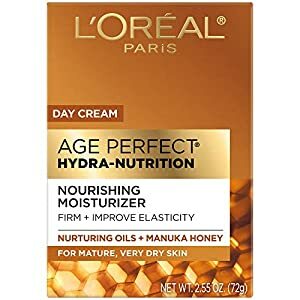 Use this daily moisturizer to reduce fine lines, wrinkles & age spots; rejuvenate skin cells; strengthen skin fibers, and enhance skin elasticity. You’ll love your new soft, supple, and glowing complexion. Our gentle hypoallergenic formula works with all skin types. 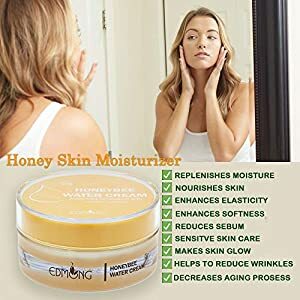 🍯 JAPANESE KNOT ROOT – Does your moisturizer contain this amazing phytonutrient for maximum circulation and skin cell regrowth? No other moisturizer has the levels of Resveratrol contained in JAPANESE KNOT ROOT—a potent antioxidant in grapes that defends against environmental stressors & premature aging. Resveratrol combats toxins & free radicals, while brightening & lightening skin tone. 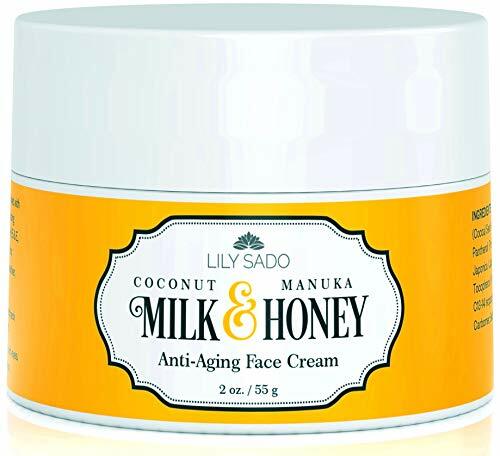 It also has skin-calming properties that minimize fine lines, wrinkles & redness. Check it out, peeps. 😍 SAVE MONEY! SEE PRODUCT DISCOUNTS ABOVE! Get ready for deep, penetrating moisturization! 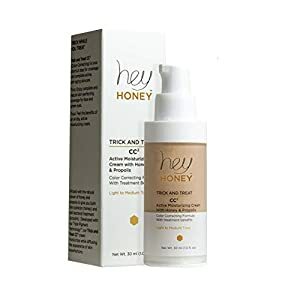 This coconut and honey air-whipped moisture cream contains hand-picked organic ingredients from in every single place the world that have the best anti-aging and hydrating properties for healthy and radiant skin. 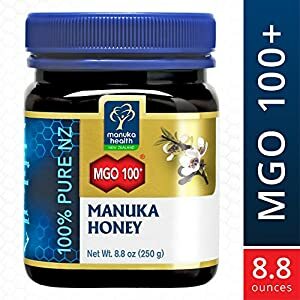 🍯 MANUKA HONEY has unmatched hydration and healing qualities. Packed with amino acids, Vitamin B, and essential minerals, it leaves your skin radiant, supple & glowing. 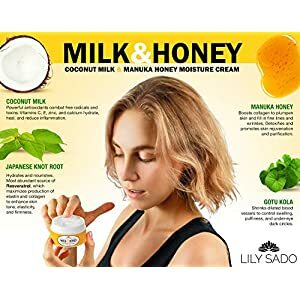 🍯 COCONUT MILK is high in Vitamin C & antioxidants to brighten skin and protect it from free radicals. Its natural richness deeply nourishes & hydrates skin, preventing dryness and irritation. 🍯ODAE RICE WATER is naturally rich in vitamins and minerals and has been a core ingredient in Asian skincare for centuries to produce soft, glowing skin. 🍯 GOTU KOLA (Centella Asiatica) is high in antioxidants to increase collagen production, helping the skin to stay plump and youthful. 🍯 JAPANESE KNOT ROOT contains resveratrol, a potent antioxidant that fights free radicals, which can cause signs of premature aging. 🍯 ALOE VERA is packed with vitamins and antioxidants that help to hydrate & protect skin, boost collagen production & reduce acne. 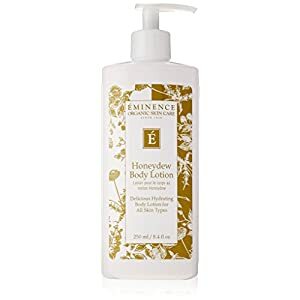 🍯 VITAMIN B5 & E improve the skin’s natural moisturizing factors to keep it hydrated, even as combatting the visual signs of aging. 🍯 COCOA BUTTER provides deep hydration, keeping skin soft, smooth, and youthful. Rich in antioxidants, it protects skin from environmental stressors & sun damage. 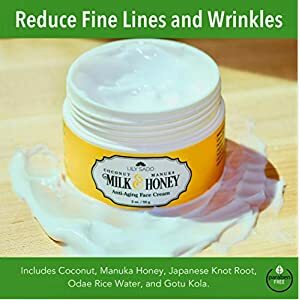 🍯 ORGANICALLY FORMULATED TO REDUCE FINE LINES & WRINKLES – Change into your skin with this luxuriously creamy and soft air-whipped coconut milk and maunka honey anti-aging face cream. 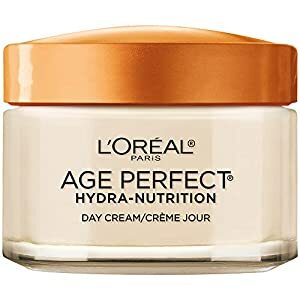 Its carefully curated ingredients deliver 9–12 hours of long-lasting hydration and nutrients to soften and firm skin and reduce the signs of aging. Smooth texture absorbs quickly. SAFE FOR ALL SKIN TYPES. 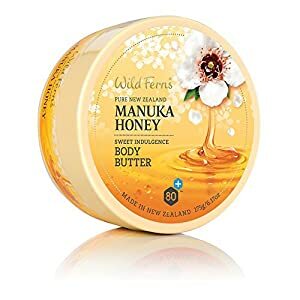 Amazing as a HAND CREAM. 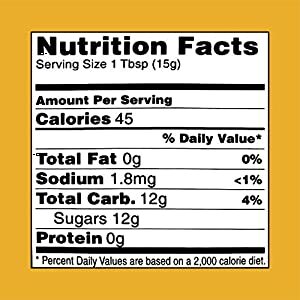 Can be utilized on entire body. A little goes a LONG way!! 🍯 COCONUT MILK, MANUKA HONEY, ALOE VERA, JAPANESE KNOT ROOT & GOTU KOLA provide a powerful array of antioxidants, vitamins, and peptides that tone your skin at a deep cellular level. 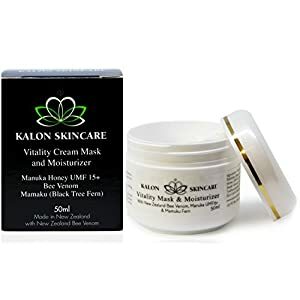 Use this daily moisturizer to reduce fine lines, wrinkles & age spots; rejuvenate skin cells; reinforce skin fibers, and beef up skin elasticity. You’ll love your new soft, supple, and glowing complexion. Our gentle hypoallergenic formula works with all skin types. 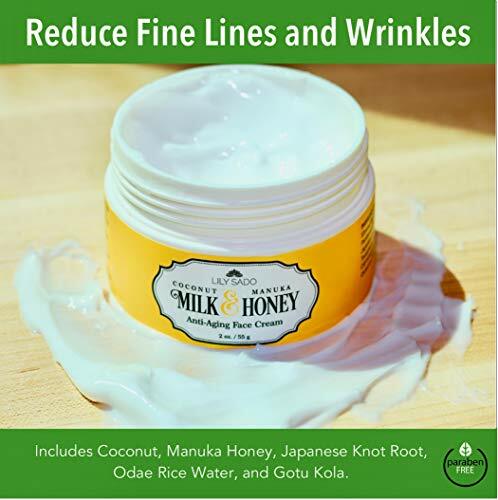 🍯 JAPANESE KNOT ROOT – Does your moisturizer contain this amazing phytonutrient for maximum circulation and skin cell regrowth? No other moisturizer has the levels of Resveratrol contained in JAPANESE KNOT ROOT—a potent antioxidant in grapes that defends against environmental stressors & premature aging. Resveratrol combats toxins & free radicals, even as brightening & lightening skin tone. 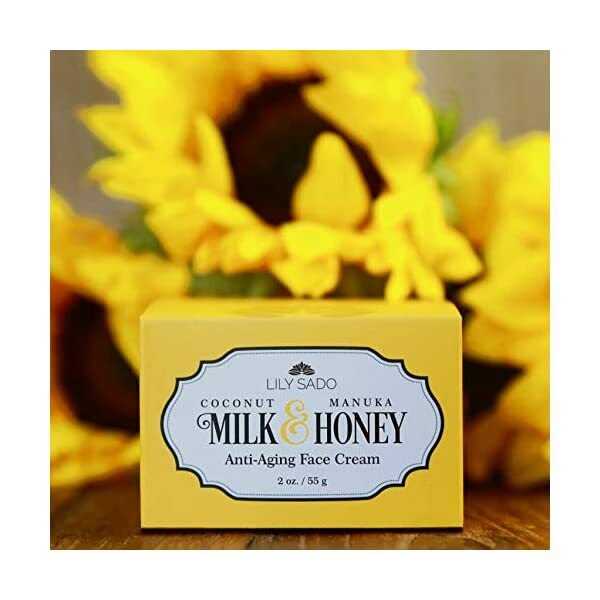 It also has skin-calming properties that minimize fine lines, wrinkles & redness. Check it out, peeps. 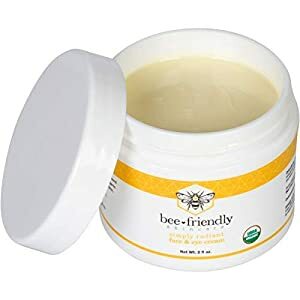 🍯 BACKED BY LILY’S QUALITY GUARANTEE –We cut no corners in our products and cut no corners in our improve of you. We know you’re a big deal and we treat you that way. 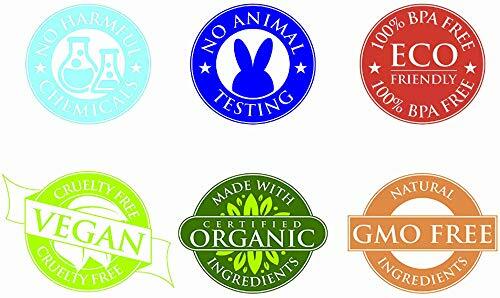 All our products are backed by a risk-free 30-day guarantee. 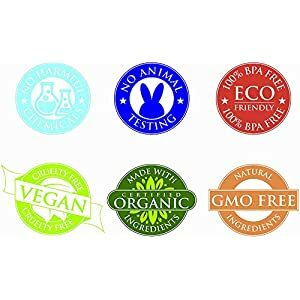 Along with being risk-free, they’re also paraben-free, phthalate-free, and cruelty free (never tested on animals). 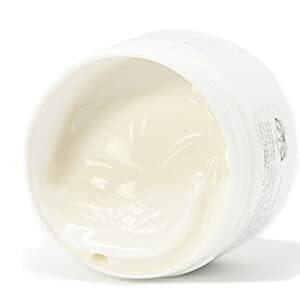 Compare against more expensive facial moisturizers, night creams, and anti-aging moisturizers and skin creams. 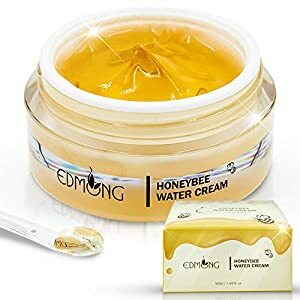 🍯 ODAE RICE WATER – has been used in Asian skincare for centuries for its superior hydrating, nourishing, and anti-wrinkle properties to produce dewy, soft skin. Also from Asia, the GOTU KOLA herb has powerful antioxidants & anti-inflammatories that boost collagen levels to plump and even skin tone. 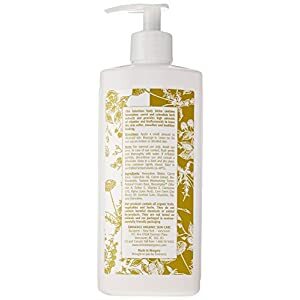 COCOA BUTTER, ALOE, and VITAMINS B5 & E moisten, smooth, and beef up skin texture for a gorgeous glowing complexion. 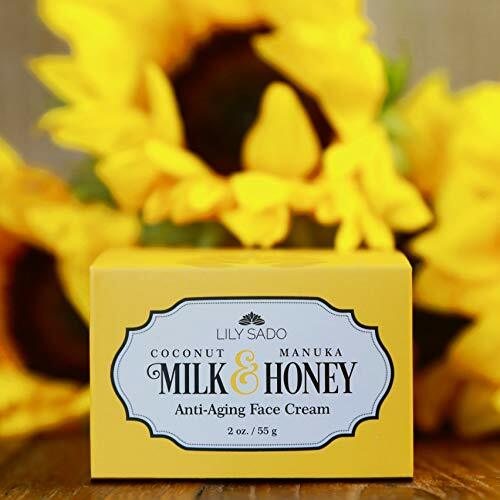 Your skin will fall in love with this natural honey and coconut face cream!